Lockheed Martin’s ultimate goal was to establish new corporate office standards that would provide a 21st century, working environment aimed at the needs of young professionals while respecting the modest budgets required by their government clients. As a pilot project, they decided to renovate a 250,000sf facility built in 1965 in Manassas, VA with no distinct architectural features. This office was designed as a new paradigm for their working environments. 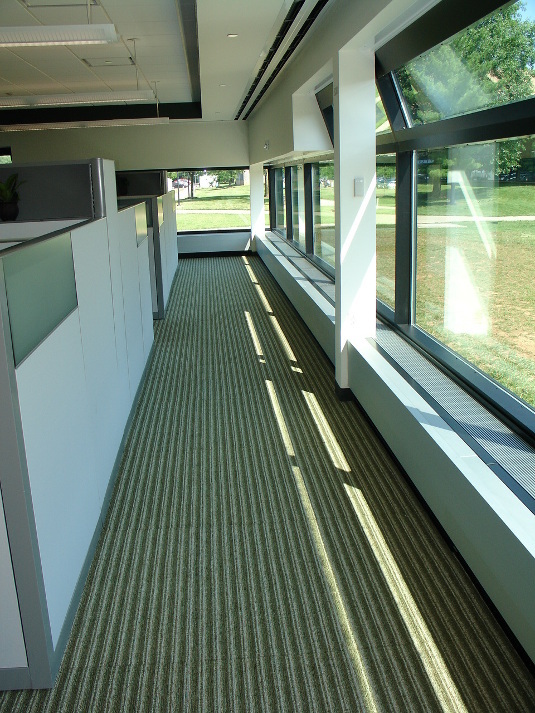 Because many of the professionals working in this facility often travel or conduct work off site, they wanted a way to reduce the amount of area dedicated to office space without sacrificing the capacity to provide space for all workers. The design accomplished this with the adoption of hoteling, an Alternative Work Solutions technique. 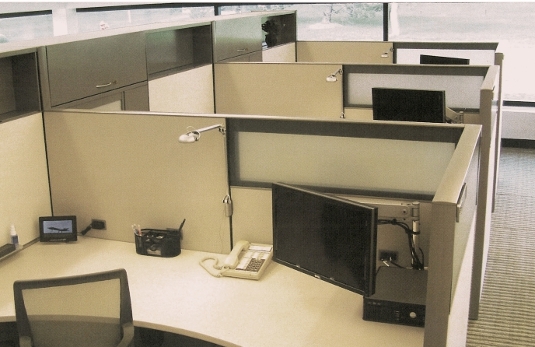 A central server-based system is used to assign work space to individuals when they need it, meaning that they did not need to provide permanent desk space for each worker on staff, only those on site. 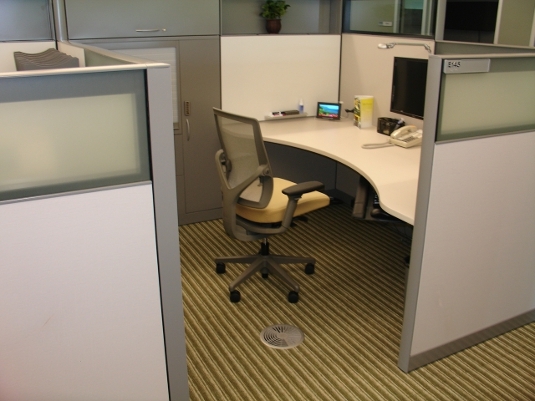 This reduced the overall number of workstations to only the number needed to accommodate the maximum number of workers expected on any given day. 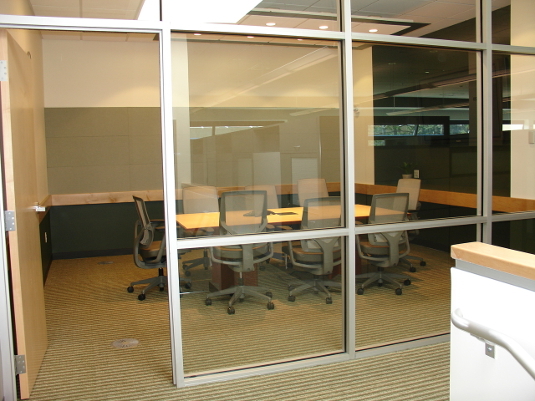 Reducing the area dedicated to work space dramatically lowered building operation costs. 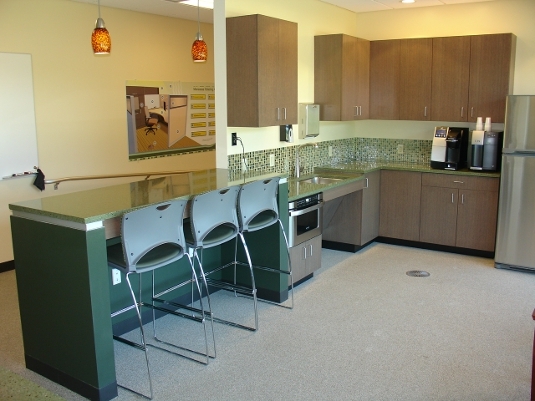 Even though certification was not desired by the client, this building was renovated to meet LEED™ EB standards. The design met all of the client’s programmatic needs and provided a working environment that was aesthetically pleasing, physically comfortable, and that promoted greater employee productivity.